It’s expected that when we sell a house the buyer will inevitably need a mortgage not a cash buyer and many vendors don’t really give it any more thought than that. Well you should. In fact one of the most important things is the position of your buyer. This will give you an insight into how secure a buyer they are and how fast as well as how likely the sale is to complete – you can have a buyer but that buyer is only any good if they have the means to buy – cash or mortgage. So in this case, let’s take away the chain factor and assume your buyer has no house to sell, that in itself is a very good buyer and also where many estate agents start to get things mixed up, intentionally, or otherwise. Estate agents love to sell houses – well that’s the easy bit. The skill is actually in getting the right buyer in the first place – not just the first buyer. Many estate agents will say “we have a cash buyer for you and they have nothing to sell, “no chain”. ‘Great’, you think – perfect even. But hang on… Two weeks down the line the agents call you and request access for a mortgage valuation and a survey. What? I thought they were a cash buyer? “Well, they have cash from the mortgage”, is the reply we hear time after time. Is this acceptable? No it is not. When you accept an offer from a cash buyer they should be just that – cash. They should have funds to buy your house without the need to borrow the money subject to survey or valuation. In some cases buyers are described by agents as cash even when they have a property to sell. “Yes Mr Jones, buyer X will be a cash buyer, once they have sold their own house” – this person is not a cash buyer. They do not have the cash. What if they cant sell or don’t sell? How long do you wait? A cash buyer is simply that – they have funds on account or under their bed (don’t try this at home) and are ready, willing and able to proceed to exchange of contracts without the need to borrow or sell to raise the cash. 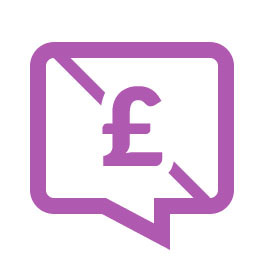 Don’t forget as a cash buyer, your solicitors and estate agents will have duty of care under money laundering regulations to ascertain where the money came from – cash under the bed isn’t easy to prove its source – your high street bank or saving accounts is a safer bet. When selling a property and an offer has been made, make sure you ask the agents for proof and exact details of what position the buyer is in, don’t just take their word for it – check the detail in any offer letter they send you. Estate Agents must, by law, send each and every offer to you verbally and/or in writing at the earliest opportunity. Cash buyer or mortgage buyer – is one better than the other? Strictly speaking a cash buyer is always better – less risk, faster turn round and more control. However, if you are the cash buyer, you know you are in a good strong buying position and will often use that to negotiate a lower offer. Of course as a seller you don’t have to accept a lower offer but in the real world you know that a cash buyer is a better option and if providing the offer is enough to accept then it’s commonly an accepted trade off – sell at a lower price for a faster more secure hassle free sale. Selling to a cash buyer may also allow you the benefits of a better negotiation on your purchase – you may have sold for less but if you can buy for less then you’re no worse off and have still got a faster sale – winner. For these reasons alone, many UK home owners wanting a quick sale, whether they are selling a flat, an apartment, bungalow or house, home owners everywhere get free cash offers from 365 Property Buyer who are cash property buyers. Mortgage buyers do come with some benefits though in that they may be forced into paying closer to your asking price and they are financially committed, Although, they’re not legally committed and they can still pull out of the sale, withdraw their offer or reduce their offer at anytime. Once they have paid for survey, searches, mortgage arrangement fees and so on they may have incurred costs in excess of £1,000 pounds so will not normally pull out unless there is a major problem. Ask the estate agents for proof of the buyers full buying position. Only then can you decide if the offer is acceptable and at least you can accept any offer in full light of the facts, good or bad. If cash: ask for proof of funds – if they don’t or cant provide proof of funds – do not accept the offer. If mortgage: ask for proof of AIP (Agreement in Principle) This is a mortgage lenders basic statement of intent to lend a certain amount to that buyer – although it is not a guarantee and always will be subject to survey on your house. The next big step is the survey – we will cover this in our next blog – my buyer is getting a survey: should I be worried?